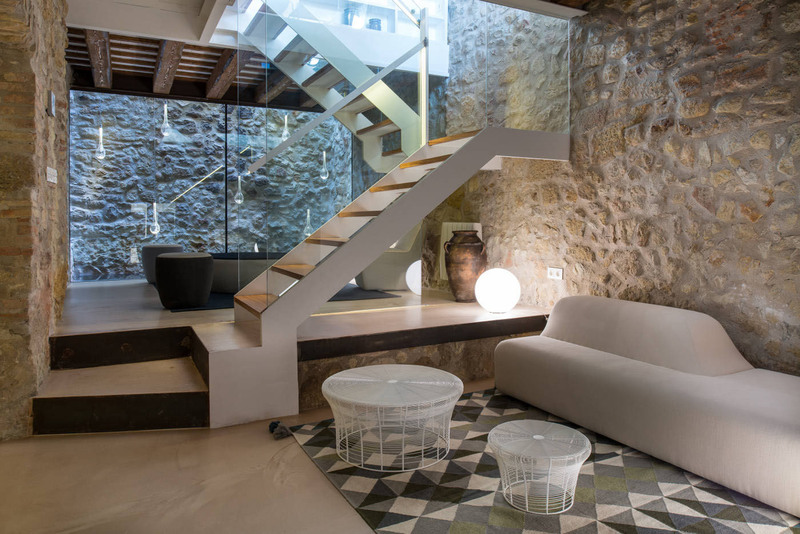 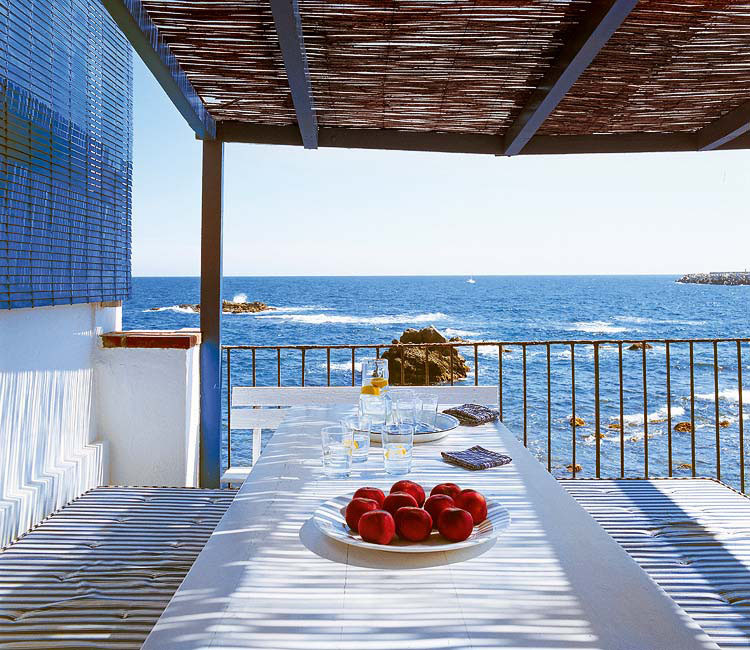 This spectacular beach house on the Costa Brava in Spain was in need of a major renovation. 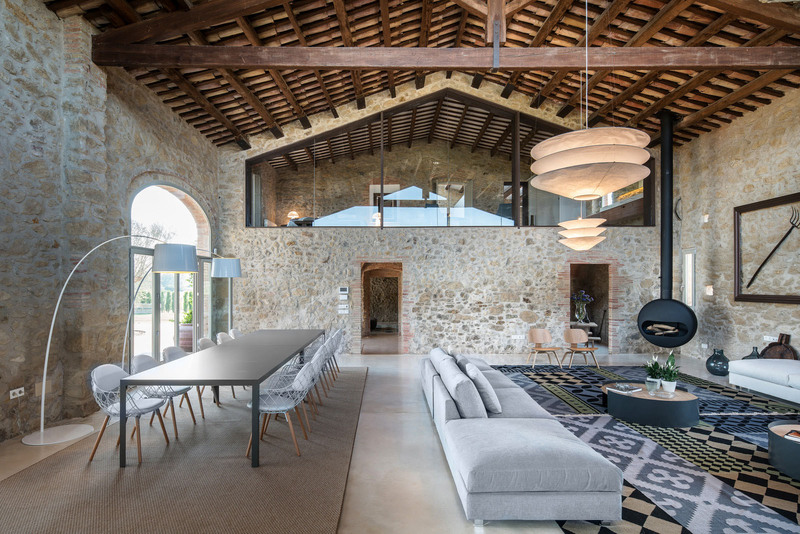 Architect Lázaro Rosa Viola of Contemporain Studio successfully respected the basic structure of the house while creating a rustic and refreshing environment that connects with its surroundings. 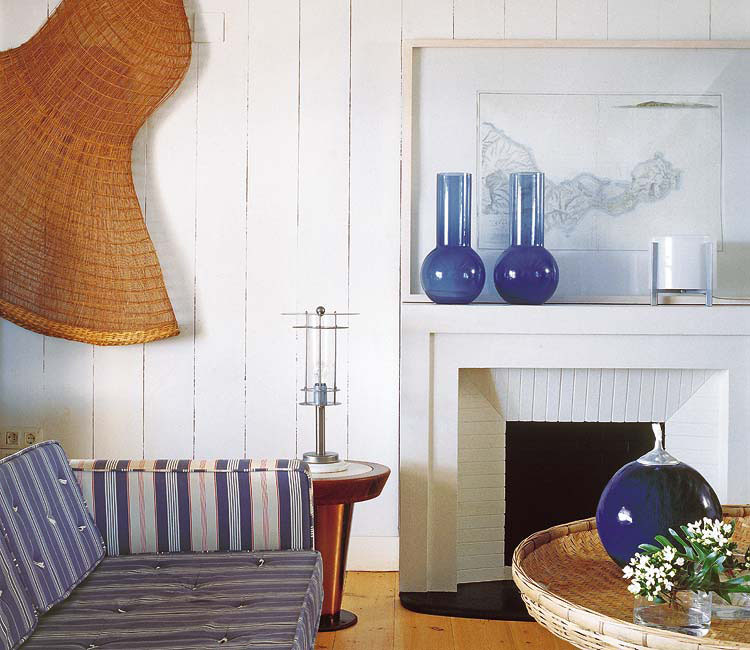 Blue and white interior decoration throughout the house celebrates the blue Mediterranean Sea.